General Motors had a deal to unload its money-losing European division in 2009 before backing out at the last minute, saying its prospects there had improved. In the seven years since, Europe has drained an additional $8 billion out of GM’s coffers. After warning last week of more losses in the region in 2017, the automaker again is looking for a way out, confirming on Tuesday talks with PSA Group that it said could lead to a sale of Opel. GM hasn’t turned a profit in Europe since 1999. Executives previously said they hoped to break even in 2016 and that the division was on track to do just that until the United Kingdom’s surprising vote to leave the European Union in June. GM cut its losses in Europe by two-thirds last year, but CFO Chuck Stevens said Feb. 7 that the next chance to break even would be 2018. But instead, the third-largest global automaker -- which for decades sought to dominate every market it could -- is continuing its transformation under CEO Mary Barra into a company dedicated to maximizing profit margins in North America and China. The talks with PSA follow GM’s pull-out from Russia and Australia because it no longer saw those countries producing adequate returns on its investment. Meanwhile, GM earned a record $12 billion profit in North America last year. Shares of GM rose 5 percent in Tuesday morning trading, a sign that investors like the idea of a more regionalized focus. In a statement, GM said its ongoing alliance with PSA has generated “substantial synergies” for both companies. “Within this framework, General Motors and PSA Group regularly examine additional expansion and cooperation possibilities, as well,” the statement said. “PSA Group and General Motors confirm they are exploring numerous strategic initiatives aiming at improving profitability and operational efficiency, including a potential acquisition of Opel Vauxhall by PSA. Efraim Levy, an equity analyst with CFRA Research said GM’s exploration of a sale is “somewhat surprising,” given the reduced losses there and the fact that 11 percent of GM’s 2016 revenue is tied to technology linked to its European operations. A combination would create a manufacturer with about 16 percent of the European car market, leapfrogging Renault to become the region’s second-biggest auto group after Volkswagen Group. Together, PSA and Opel would command a 16.3 percent share of the European car market share compared with Volkswagen's 24.1 percent, based on 2016 data. A deal may be announced within days, Reuters reported. A tie-up would be the second run at linking the two mass-market carmakers. GM sold a 7 percent stake in its French counterpart in 2013 after savings from the cooperation fell short of expectations. PSA is considering the takeover to boost its scale, get access to Opel’s engineering, electric-car technology and reap savings from joint purchasing and eventually cost cuts, according to a source. For GM, it would mark a clean exit from Europe, the person said, and drop the company into fourth-place behind Nissan-Renault in terms of global sales. GM has controlled Opel since 1929 but the unit has struggled to make a profit for years amid increasing competition from the likes of Hyundai Motor and Volkswagen’s Skoda, which both have lower costs than the German-based manufacturer. GM may keep a stake in the combined entity, one source told Reuters. What remains unclear is how PSA will cut costs in a combined group. PSA has 10 factories in Europe and GM has 11 plants. Opel’s powerful trade union representatives in Germany immediately voiced their concern that GM and Peugeot had held discussions without their knowledge. “If it is true that GM and PSA held talks with the aim of selling Opel/Vauxhall, it would be an unprecedented breach of all German and European co-determination rights,” labor union IG Metall and Opel’s works council said in a joint statement. 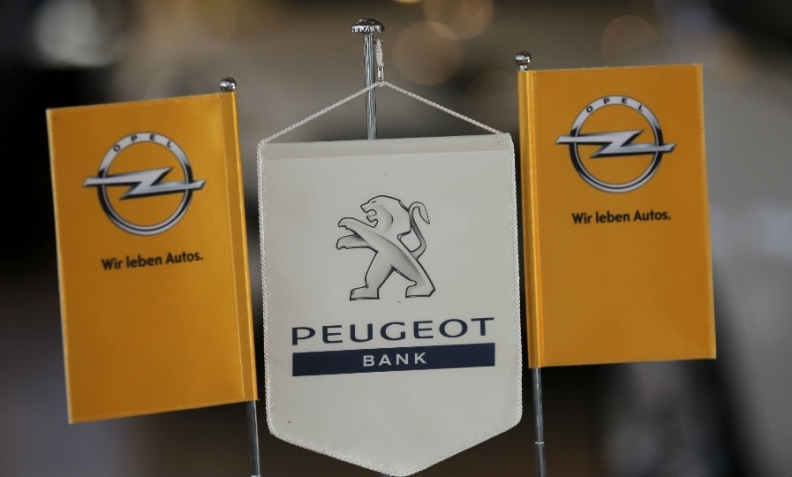 The French government, which holds a stake of over 13 percent in PSA Group, supports the Peugeot carmaker's plan to acquire Opel, but will watch out for the implications for French jobs, an economy ministry source told Reuters. "The government supports the management in its desire to reach critical mass [and] will give special attention to the impact in terms of jobs and the industrial impact of these initiatives," the source told Reuters. In 2009, GM’s then-CEO, Fritz Henderson, struck a deal to sell Opel to a consortium of Canada’s Magna International and a Russian lender, Sberbank. But GM’s board, concerned that the European operations were too critical to its global strategy, later nixed the sale in favor of reorganizing the division. The reversal created an uproar in Germany and amounted to a high-profile embarrassment for Chancellor Angela Merkel. It also contributed to Henderson being ousted as CEO several weeks later.